One more enhancement i found with Query Editor of SQL Server 2012 and later version, we can trace the query with specific current session in SQL Server Profiler. 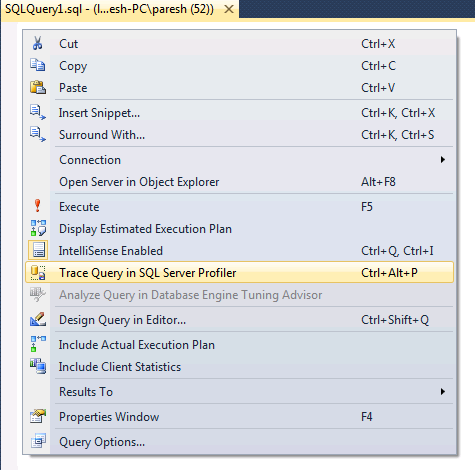 For that just need to right click in Query Editor and you can find the option Trace Query in SQL Server Profiler or press CTRL + ALT + P, which will open SQL Profiler filtered with that current session. Below is a screen shot for the same. Did you know this or used ever?